Sometime last fall I won a bra from A Mother's Boutique. I'd never heard of them until I ran across this contest on someone's blog. I liked this bra so much for sleeping and nursing that I ordered a second one. Happy Mommy. Cut to last month when I realized that my current nursing bras from Target were pretty much done after 10 months of service. They don't carry them anymore and I couldn't find any in our town, nor any that fit in Oregon, where I had access to a much larger selection. So I emailed Judy, the owner of A Mother's Boutique. She happily emailed me about a dozen different options that she thought might work for my size and requests - yes, I'm unusual, but not too unusual for a nursing mother! I picked out 4 and ordered them. None fit well. So I returned them and picked 5 more from new recommendations. Finally I found a winner in this La Leche League bra. And it's even without underwire. I never would have attempted a non-underwire bra without Judy recommending it. Needless to say I am super happy with the service I received, including the advice on what to try! I will be shopping there again for future maternity/nursing needs (and no, I'm not pregnant again =) They have a great selection and things you won't find in other stores. 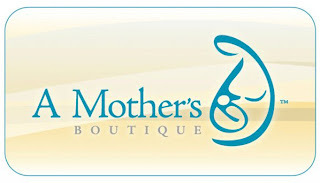 Right now is a great time to shop if you have any maternity/nursing clothing needs since they're having a super sale! On top of that readers of this blog can take an additional 5% off with the code WTML. If you ever have any nursing related questions Judy is great about responding quickly with helpful advice! I highly recommend it! I received a 20% discount on my order for writing about A Mother's Boutique, but the experience was all mine and I would have ordered from them anyway!